We are pleased to introduce the WSS Fellows selected to participate in the Sustainable Urbanisation I seminar held from 25-30 March 2013 in Quito, Ecuador. Research careers are dynamic, especially for early-career scientists. This information was correct at the time of each Fellow’s application to the WSS Fellows programme, but may have changed since. Manase Chiweshe is currently a post graduate fellow in the Sociology Department at Rhodes University and a research associate of Ruzivo Trust in Harare. Zimbabwe. He is an expert in African gender theory with a special focus on sexuality, urban poverty, human rights, rural and urban spaces, social networks, social movements, survival strategies and grassroots organisations. His work at the Quito seminar focuses on the nexus between gender and urban spaces. 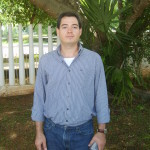 Mauricio Domínguez Aguilar holds a Master in Sciences (Human Ecology) from the Center of Research and Advanced Studies (CINVESTAV) and a PhD in Geography from the Autonomous National University of Mexico (UNAM). He has experience both at governmental level and in the academy, where he has taught and coordinated two research projects on urban issues. He has three lines of research: poverty and access to resources; urban development; and urbanization and environmental change. 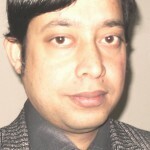 To date he has published four articles, three books and several book chapters and other publications. Since 2012 he is a member of the National System of Researches of Mexico (SNI) and the Network on Poverty and Urban Development of the National Council of Science and Technology of Mexico (CONACYT). Ferne Edwards is a PhD candidate at the National Centre for Epidemiology and Population Health at the Australian National University. Her PhD investigates the significance of non-monetary food economies in developed and developing world cities. Ferne has a background in anthropology specialising in sustainable cities, urban food systems and social movements. Her research includes food waste and freeganism, food mapping, alternative food networks, climate change, and urban beekeeping. She has recently conducted research in Venezuela on the food sovereignty movement. John Harris is currently a visiting lecturer at Florida State University in Tallahassee, Florida, USA. He holds a PhD in Urban and Regional Planning. His research interests involve attempting to detail functioning informal socioeconomic and political systems that impact efforts aimed at sustainable urbanization. His current research project includes looking into the way innovative sanitation methods can meet the needs of urban Africa in a more sustainable manner. Taibat’s work over the years has been about understanding the interplay among human settlements, livelihoods, environmental health conditions and governance dynamics especially as they relate to vulnerable groups particularly the urban poor of Lagos Metropolis. Currently, she is curious about the evolution of African urbanism. Hence, her research tilts towards investigating urban liveability and the contradictions inherent in urban inequalities with regards to lifestyles, livelihoods and survival strategies; and the consequences of all these for urban development. 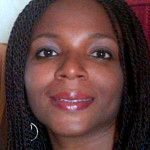 She has a doctorate degree in Urban and Regional Planning and is currently a senior lecturer and coordinator of postgraduate programmes in the Department of Urban and Regional Planning, University of Lagos, Nigeria. She is also the Coordinator of the Lagos Urban Research Network, a recent initiative of the department which is meant to provide an interdisciplinary platform for research on urban issues, particularly in the Lagos Megacity. My research is focused on examining the relationship between society, urban space and everyday life within cities. I am currently a lecturer in culture and urban Development at the Centre for Urban and Euregional Studies, within the Department of Technology and Society Studies at Maastricht University. Prior to that, I was a Postdoctoral Researcher on the ACRE – Accommodating Creative Knowledge Research Project at University College Dublin. My PhD, from Trinity College, Dublin, focused on the relationship between urban planning, urban politics and the everyday use of public space in Amsterdam, London and Dublin. I have published on topics related to urban public space, the politics of social space in residential areas, and the residential preferences of those working in the creative and knowledge industries. Moises Lino e Silva is an anthropologist who specializes in the topic of freedom and its relationship to different facets of urban life such as poverty, violence, sexuality, and social justice. 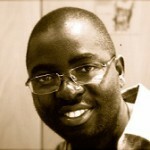 Through his work, Dr Lino e Silva addresses questions such as: How does one recognize, assign, judge, or claim freedom? Can there be freedom in conditions of illegality, discrimination, and poverty? What are the practices of freedom in urban territories at the margins of state power? 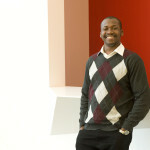 Lino e Silva’s current research is centered on issues of freedom as experienced by slum dwellers in Rio de Janeiro, Brazil. 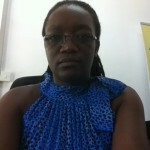 Chipo Plaxedes Mubaya is currently Senior Programme Officer for the African Climate Change Fellowship Programme (ACCFP) and a Social Science researcher based at the ACCFP Secretariat at the Institute of Resource Assessment in Dar es Salaam. She has a research background in interdisciplinary studies in climate change adaptation mainly for rural development in Southern Africa but more recently on urban development in East Africa as well. Jenia Mukherjee, a practitioner of environmental history, has pursued her PhD on the social biography of canals and wetlands of Kolkata, India, reflecting on the history of urban planning and development and its impact on the ecology of the city and livelihood of vulnerable communities. Her research interest centers round urban sustainability, social ecology, community development and participatory approaches, etc. 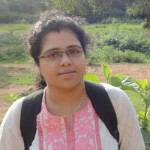 She works at the Institute of Development Studies Kolkata, India, where she is the coordinator of an Environment and Development course, and conducts sponsored research projects on themes relating to her research interest. She intends to get involved in long-term research activities on mega-urbanization, urban sprawl, sustainable urbanization, etc., critically exploring these concepts, its multi-layered impacts, and possible recommendations for the developing nations, especially India. 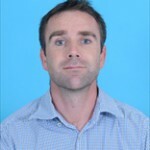 Luke Parry is a Lecturer in Ecosystem Services at the Lancaster Environment Centre (Lancaster University, UK) and holds a PhD in inter-disciplinary environmental science from the University of East Anglia. He is interested in identifying pathways towards sustainable urbanization in tropical forest regions, particularly the Amazon. In Brazil he has worked with a range of institutions, including the Museu Goeldi (Belém) and the Center for International Forestry Research (CIFOR). His passion for Amazonia spans its people and places, slow boat journeys and even governmental census data. 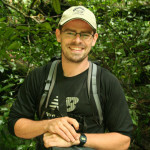 Cities have fascinated Luke since he began to study the impacts of rural-urban migration for both people and wildlife. He is currently working on new tools to predict the impacts of Amazonian droughts on riverine food distribution and urban food insecurity. 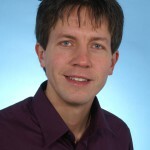 Dr. Dominik Reusser works at the Potsdam Institute for Climate Impact Research in the Climate Change and Development working group, which focuses on cities as focal points for climate adaptation and mitigation and on transition processes for more sustainability. He has a strong interest in the interactions between nature and society, which is at its extremes in city surroundings. The knowledge to tackle the global challenge can only be generated by integrating views from multiple disciplines. Thus, while a natural scientist by training, he has a strong interest in the mutual inspiration between social and natural sciences. 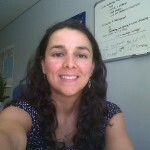 Natalie Rosales is a PhD candidate on Sustainable Development from the Universidad Complutense de Madrid and holds a Masters on Environmental Mangement and a Bachelor’s Degree on Urbanism. Currently her research focuses on developing an innovative approach to urbanism that can contribute to the understanding of the interactions between urbanization and sustainable development in order to figure out how we can improve urban development patterns and foster sustainable solutions. 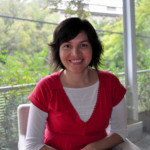 Landy Sánchez is a Mexican scholar working at the Center for Demographic, Urban and Environmental Studies at El Colegio de Mexico, in Mexico City. She holds a PhD in Sociology and a minor in Geography by the University of Wisconsin-Madison. She works on issues of demographic change, spatial inequality, and the environmental implications of household consumption. Landy teaches courses on population and environment, statistics, and spatial analysis. She is currently working on a project about urbanization pathways and emissions in Mexican Cities. 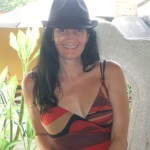 My name is Diana Sanchez Betancourt, I am a 35 year old Colombian living and working in Cape Town, South Africa. As a researcher of the Human Sciences Research Council and a citizen committed to participating in the creation of sustainable cities, I feel passionate about policy oriented research on urban development policies, the green economy, alternative growth paths and strengthening my knowledge about urban sustainability. My recent research work has allowed me to get involved in this great field. In 2012 I conducted field work gathering the voices of ordinary people on issues related to sustainability, sharing them at Rio+20, and I’m currently participating on an online exchange on sustainable cities with Latin America. In my personal capacity I am involved in a citizen initiative in Cape Town which is advocating for a better use of public spaces to create a more sustainable and integrated city. 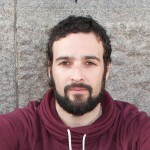 Jorge Sequera is currently finalizing his PhD thesis, which focuses on spatial reconfiguration processes, gentrification and social contestation in the city centre of Madrid. Beginning with the study of the metropolis as a source of both contradictions and potentialities, Jorge Sequera analyses some of the key phenomena of post-fordist society such as consumption, lifestyles, the new-middle classes, residential segregation and exclusion, urban design, urban social movements as well the society of control. 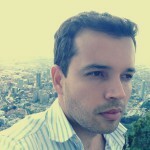 He is scientific coordinator of the international project ”CONTESTED_CITIES: Contested Spatialities of Urban Neoliberalism – Dialogues between Emerging Spaces of Citizenship in Europe and Latin America”, which brings together researchers from different Latin American universities in cities such as Rio de Janeiro, Buenos Aires, Santiago de Chile and Mexico City. Beyond this, he also forms part of the research team of the project “CITY AND CRISIS”, which is financed by the Spanish Ministry of Economy and Competitiveness. Irene Sotiropoulou has recently finished her PhD programme at the Department of Economics of the University of Crete (December 2012). She is also a graduate of the Law School of National & Capodistrian University of Athens (NCUA) (1996-2000) and she holds a MSc degree in International & European Studies at the Department of Politics&Public Administration of the NCUA too (2000-2002) as well as a Postgraduate Diploma in Development Economics at the University of Manchester (2002-2003). Her PhD dissertation is titled “Exchange networks and parallel currencies: Theoretical approaches and the case of Greece” and consists of both theoretical study and field research. 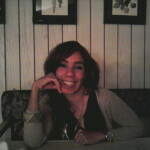 For the full dissertation volume and related publications, please visit http://ccresearchgreece.blogspot.com. Currently, she works on a joint-research project concerning grassroots solidarity structures in major urban centres of Greece. 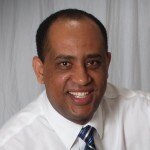 Dr. Mintesnot Woldeamanuel is an assistant professor in the Department of Urban Studies and Planning, California State University Northridge (CSUN). 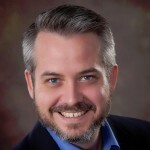 Prior to joining CSUN, he worked as an assistant professor in the Planning and Community Development Program of Saint Cloud State University, and as a Research Fellow in the Transportation Research Institute of the German Aerospace Center (DLR). He enjoys all aspects of urban planning but he is most interested in the functional relationship between urban land use and transportation. He has conducted extensive research and written on the relationship among travel behavior, the environment and urban form focusing on transportation mode choice and spatial analysis. His research interest includes public transportation policies and its impact on the environment, spatial and network analysis, mode choice and sustainable urban development. Alok Tiwari has a Doctorate in Micro Level Planning from the University of Allahabad (India) and has 11 years of teaching and research experience including at the faculty of Geography at MSPG College of VBS Purvanchal University, Jaunapur (India) and the faculty of Urban Management and Urban Infrastructure Management, Institute of Urban Development Studies at the Ethiopian Civil Service University, Addis Ababa (Ethiopia). He has published on various urban develoment issues, including 3 research papers in various journals, 1 book as author and 3 books as co-author. He is a member of the International Society of Urban Health (ISUH), New York. Dr Tiwari was chosen as Climate Change Leader by CHEA (Nanital,India) under an initiative sponsored by the British High Comission. 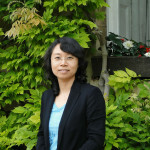 Zheng Yan is an assistant research fellow of the Institute for Urban & Environmental Studies (IUE), Research Centre for Sustainable Development (RCSD) of Chinese Academy of Social Sciences (CASS). She received a PhD degree in economics at CASS in 2006. Dr Zheng Yan has focused on adaptive governance, low carbon economy, adaptation to climate change, sustainable development, etc. Her current research interest is how to integrate low carbon development and resilience to climatic disasters in urban areas.